"Israel without Jerusalem is like a body with a weak heart. Ceding religious sites will lead to religious war." 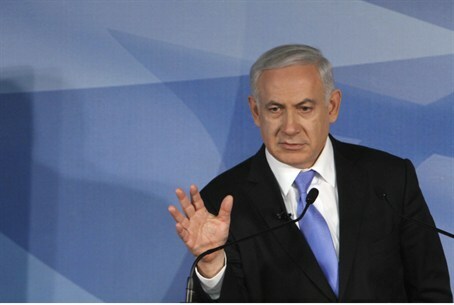 "A lasting peace can only be made with a strong nation," Netanyahu asserted. "Without a united Jerusalem, the state of Israel will be a body with a weak heart. Our heart will never be divided again." Speaking at a Jerusalem Day ceremony on Jerusalem's Ammunition Hill, Netanyahu noted that wherever Jewish people pray, anywhere in the world, they do so facing Jerusalem – "the place that was always the center of our lives; the place that reminds us of our glorious past and serves as a focus for our future hopes." "We will not turn our backs on those who faced Jerusalem throughout the ages," he said. "We will safeguard Jerusalem because Israel without Jerusalem is like a body without a heart – and it was on this hill that the heart went back to beating at full strength." "On Jerusalem Day, the divided city became whole – and it will remain that way." "I have doubts, to put it mildly, that if we deposit the Temple Mount with foreign forces, we will not very quickly slip into a religious sectarian war," he said. "Only under Israeli sovereignty, the accessibility and freedom of worship for all religions is a certainty, and will remain a certainty. Only under Israel are peace and quiet maintained."